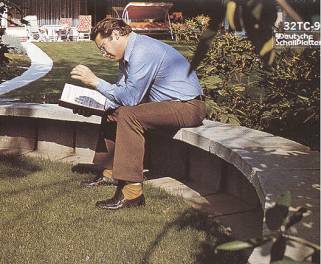 Peter Schreier was born on 29 July 1935 in Meissen (Saxony). He spent his first years in the small village of Gauernitz, where his father was a teacher and cantor/organist. In June 1945, almost ten years old and just a few month after the destruction of Dresden, he entered the temporary accommodation of the boarding school of the Kreuzchor (Cross Choir), the famous boys choir in Dresden. The choir had just been re-established. The young Peter and the few other choir members and teachers lived in a cellar in the outskirts of Dresden. The conductor of the Kreuzchor, Rudolf Mauersberger, soon recognized Peter Schreier's great talent. He let him sing a lot of solo alto parts and made also compositions that perfectly fitted Peter's boy voice. Luckily there exist some solo recordings of Peter Schreier from that period. He was 16 years old when his voice broke. Soon he became a tenor, as he had passionately wished because of the evangelist parts of J.S. Bach's music. After he had decided to become a singer he took lessons, at first privately, then later on at the Dresden Conservatory. Because he had enough spare time, he studied choral and orchestral conducting too. 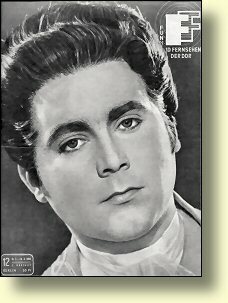 Peter Schreier made his professional debut in August 1959, playing the role of first prisoner in Fidelio by Beethoven. In the years that followed he was succesful as Belmonte in 'Die Entführung aus dem Serail' and somewhat later as Tamino in 'Die Zauberflöte', both Mozart opera's. From 1963 he had a contract with the East-Berlin Staatsoper Unter den Linden. Since 1966 he was a annual guest of the Vienna State opera. That same year he made his debut in Bayreuth as the young seaman in Tristan and Isolde with Karl Böhm as conductor. 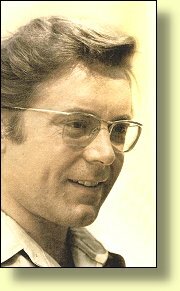 For 25 years, from 1967 onwords, he took part in the program of the annual Salzburger Festspiele. He didn't just sing Mozart roles. He was an excellent Loge in 'Das Rheingold' by Wagner. It was important to him to sing the title role of 'Palestrina', the opera of Pfitzner, not only in Münich but in East-Berlin too, which was a controversial issue that time in the German Democratic Republic. 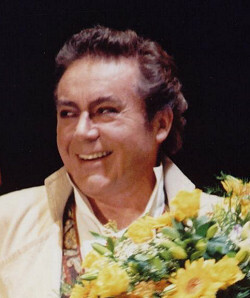 Since the start of his career Peter Schreier has become famous as a singer of the German Lied. He was an excellent singer of Schubert and Schumann songs. The music of J.S. Bach is since his youth in the very center of his interests. He sang the part of the evangelist as no one else: always as a story teller with a intense commitment to the story. Since 1970 Peter Schreier has become a conductor too with special interests in the works of Mozart, J.S. 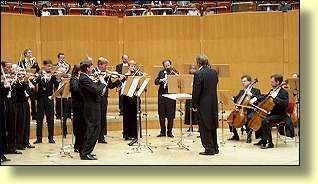 Bach, Haydn and Händel. In the performances of the oratorio's of Bach he often combined the evangelist and conductor role. In June 2000 Peter Schreier leaved the opera stage: he sang for the last time prince Tamino in Die Zauberflöte, arguing that he could no longer act as if the was still a young prince. He finished his singing career on 22 December 2005, combining the roles of evangelist and conductor in a performance of Bach's Christmas Oratorio in Prague. Peter Schreier continues his work as a conductor. He was awarded the title of "Kammersänger" by the governments of the GDR, Bavaria and Austria. The council of Meissen appointed him as honorary citizen because of his efforts in fund-raising for the restoration of this town. Since 1945 Peter Schreier had lived in Dresden, since a long time in the district of Loschwitz on the slope of the Elbe river.